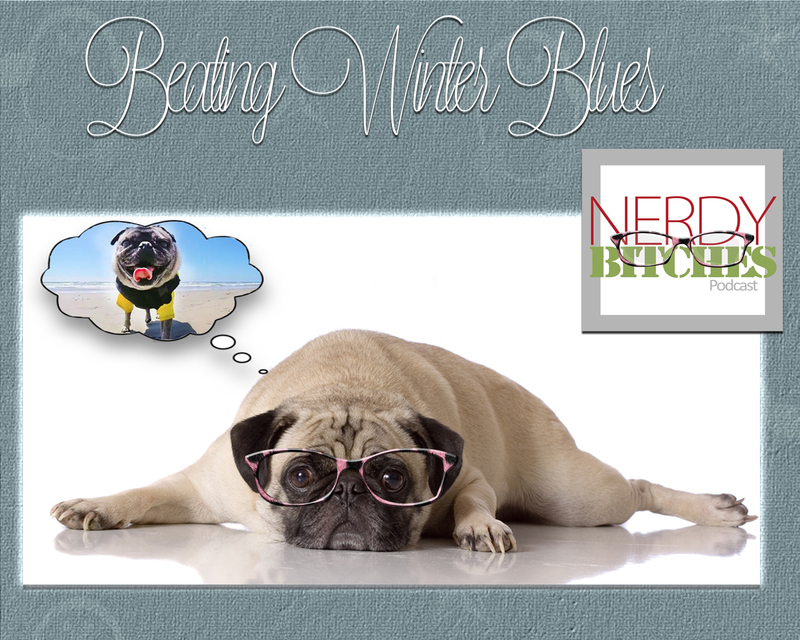 In this episode, Liz and Heather discuss beating winter blues, especially in Houston where it isn’t generally cold much in the winter time. Even though we don’t really get snowed in or have super cold days here, we can still get the winter blues. Especially on overcast, cold, and clammy (humid) days. Also, the time change in the winter really messes with your head and biorhythms. It makes you feel tired and grumpy. It does lead to a lot of binge watching and binge eating. Embrace it, if you can – Pretend you are choosing to spend the cold day in bed so that you can really enjoy the day. Keep Warm – There are certain things that we want to do in winter, like hot chocolate, soups and stews, giant blankets. You may have to flip on the AC for this activity if you live in Houston. Find the light – Get outside and find the sun, wherever it may be. Watch out for Seasonal Affective Disorder (SAD), which comes from a lack of Vitamin D. This can boost your mood and help you keep a little more active. Pokemon Go will overheat your phone and keep your hands warm. Eating healthy – When most of us binge watch and binge eat, you aren’t doing it with healthy foods. Try to get the foods in season and go to town. Lighting (in doors) – Open the blinds and let in some light. Make some kind of plans – You have the chance to catch up on things you have been meaning to do. Forget your resolutions and goals and make a PLAN and work the plan. Try not to isolate yourself. Go out and see people when you can. Know your limitations – Don’t over-commit when you know it won’t be good for you. Do what you can do, plan for the things that take more time than you have. Get a day planner and keep track of what you need to do and make adjustments as you see things crowding up. Find a hobby – Figure out what you like to do and make some time to do it. Puzzles, coloring, etc. One Day at a Time – Just get through the day. Live in the moment. Life is much more manageable if you stay present. Mindfulness. Talk it Through – Lean on your support system. Talk to someone who will listen and not judge or try to solve your problems. Make these relationships a two-way street. Don’t just dump all of your crap on someone and never allow them to do the same. If you can’t find a person to trust – get a journal. NEVER go back and read those journals. What the hell is dabbing? Who gave you the right to change The Running Man [dance]? ?